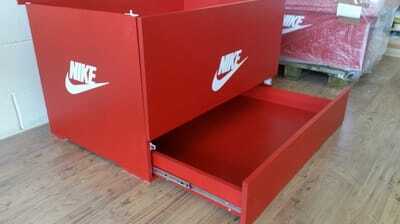 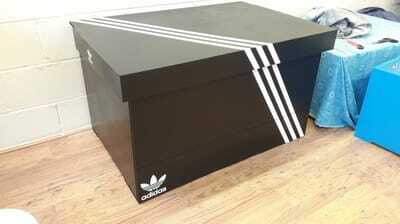 Here is our current biggest trainer shoe box which holds twentyfour pairs of shoes. 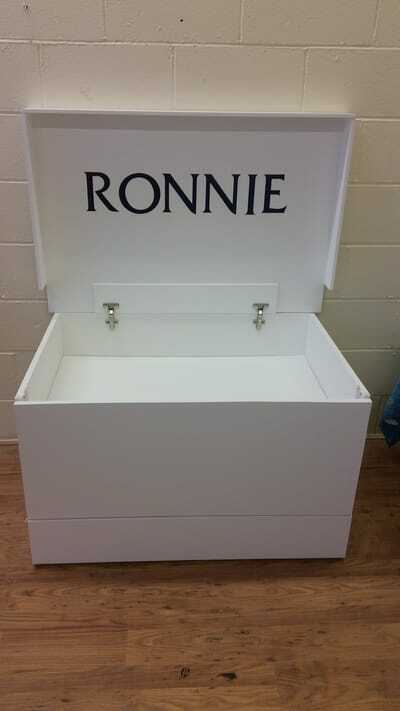 These can be personalised with names, stickers, LED lights and also wheels and this can be something your imagination can us. 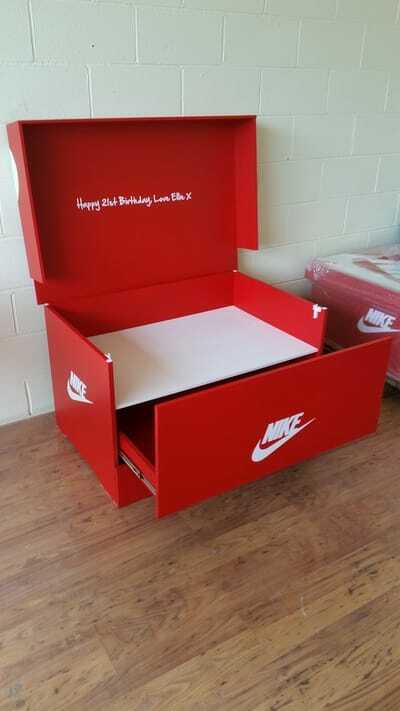 We can use current designs or work to something you want. 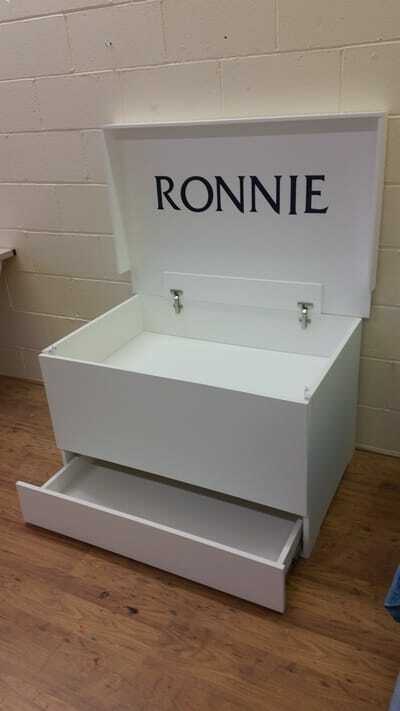 Please click here to email us. 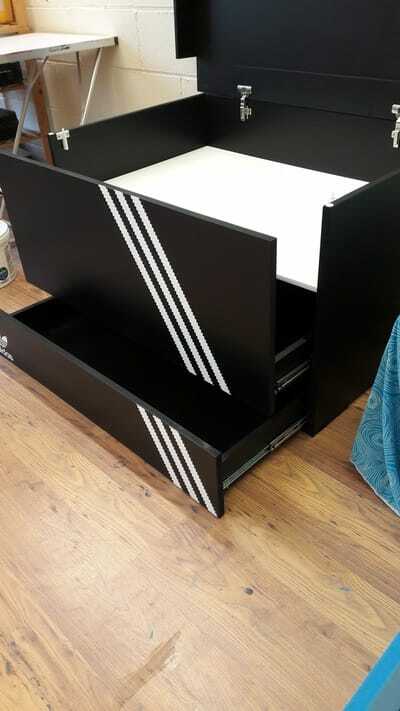 For pricing please click here. 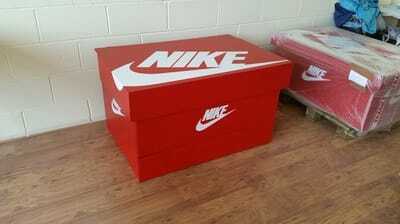 To order please email or phone . 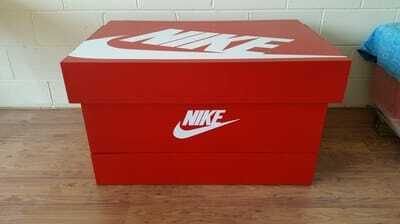 To go to our shop please click here. 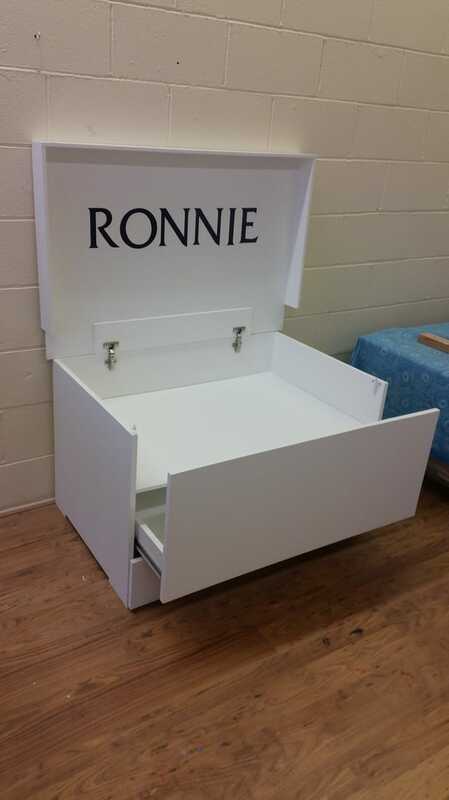 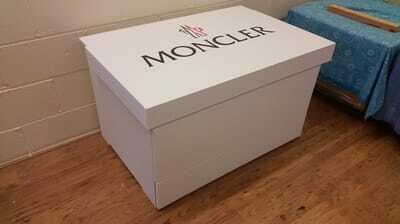 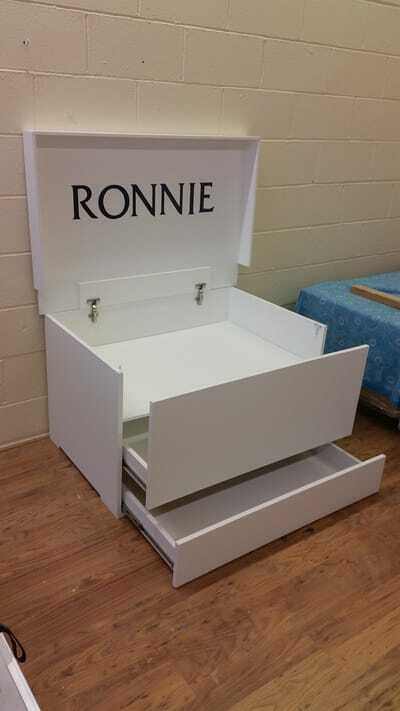 Here is our Moncler box which has a shelf and two draws for shoes and this was personalised for the person with a name. 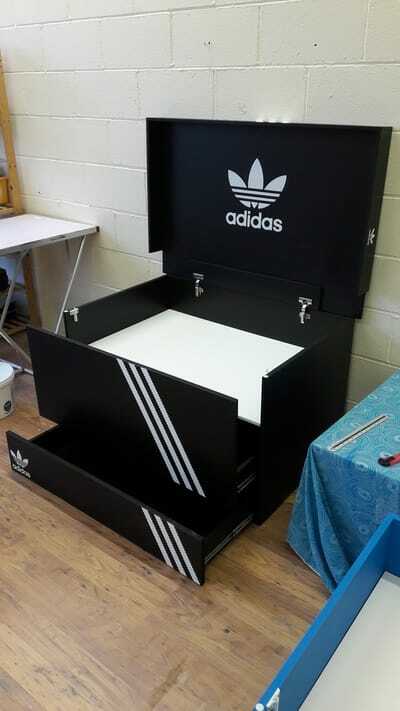 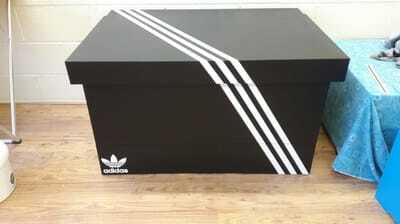 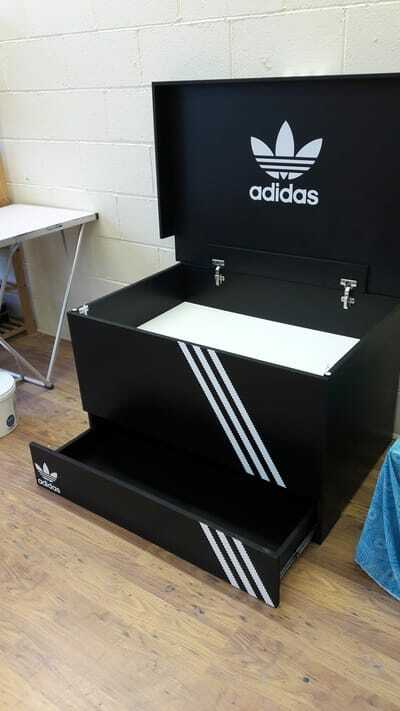 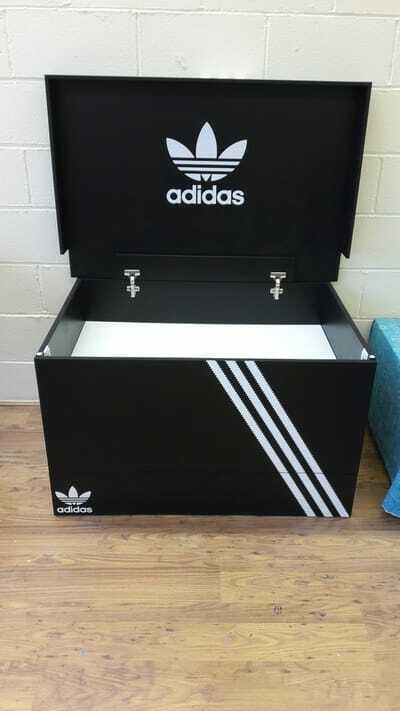 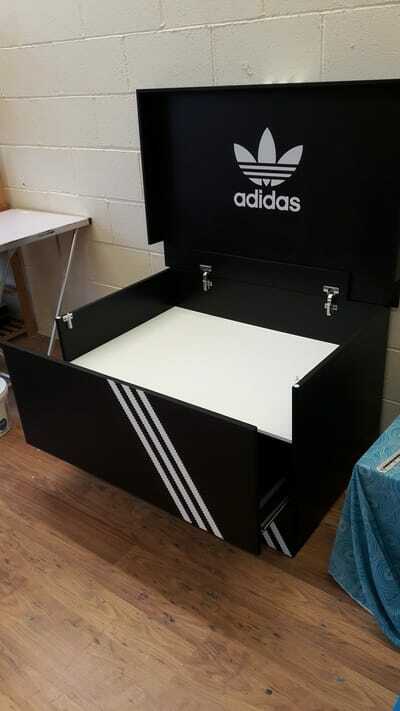 This is the black adidas box with a shelf and two draws for shoes. 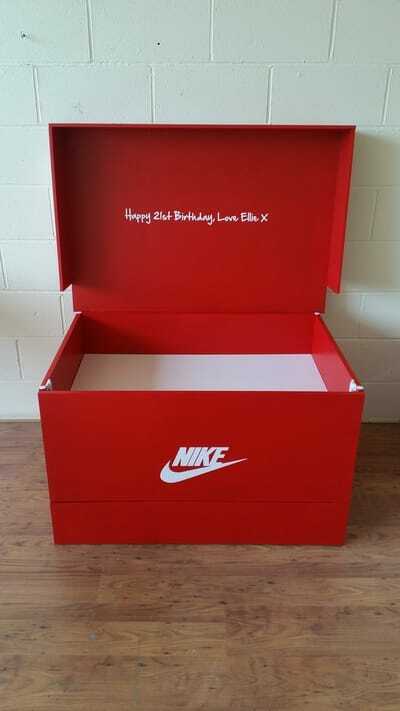 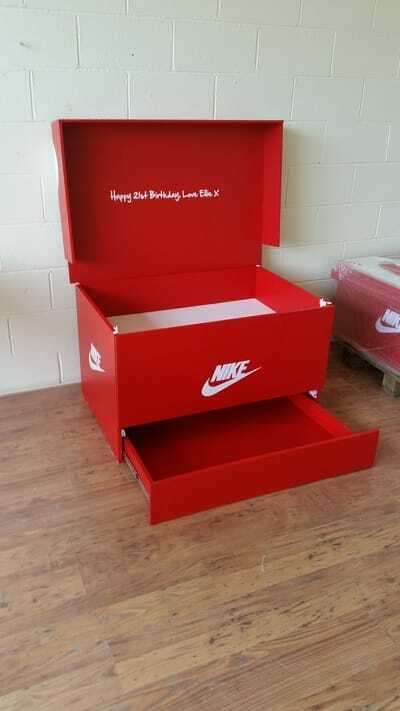 Here is a red Nike box personalised with a message from the person to their loved one. 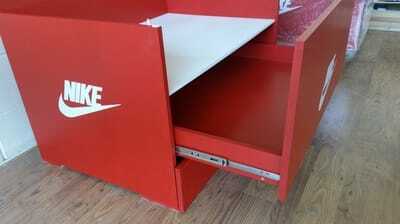 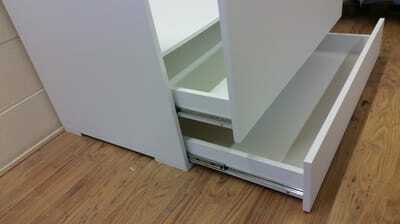 With a shelf and two draws.